BREAKING: The monsters are everywhere and many humans have vanished without a trace! There are survivors though, and you and your friends must help find them. The time has come for you to choose a Commander to lead you. 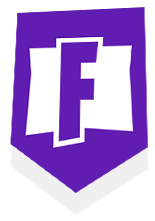 Visit the Search for Survivors page, sign up to play Fortnite, and unlock an exclusive in-game banner icon and weapon. Simply select a Commander or follow the link from a Commander’s YouTube video to unlock their custom banner icon! Check in frequently because more Commanders will be coming online as we get closer to launch on July 25. Pre-order the game from your Commander’s page by clicking the “Pre-Order” link at the bottom of the page to earn additional rewards. Once you have selected a commander, continue the Search for Survivors to earn rewards. Recruiting friends will help you earn even more in-game loot! Keep checking in on your Commander’s page to see how far you’ve progressed and what you have unlocked. You’ll also earn a Bullseye Rifle to help slay monsters while you save the survivors. Remember, more people = more rewards that will unlock over time! The survivors are counting on you! Join your Commander to save the day and earn some awesome items to help you on your journey. Show your support for your Commander with an in-game banner icon with their logo. Now get out there! The world needs you!